These are news posts that pertain to the annual global unity games that take place in September. The World Could Sure Use a Good Laugh! How Much Fun Can We Have? Imagine a self-replicating campaign that sparks laughter, lifts up the world and moves people to donate to a network of nonprofits doing amazing work all over the world. Can a good laugh lead to supporting groups working to heal the world? Marilyn Levin of the We Go High Project had this brilliant idea…. Let’s Spark Laughter to Uplift the World! 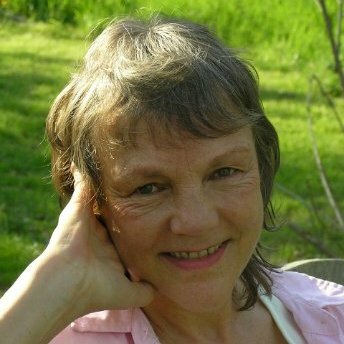 We Invited Marilyn to share her idea on the Peace Wave Summit we hosted in July. We loved her and her vision! Could we together spark a “fun-raiser” to help heal a troubled world? We had to play… Joy is Sommer’s given middle name!! Well… we had to make our video. It is confronting! How do you get yourself laughing? How do you not look like a fool in the process? 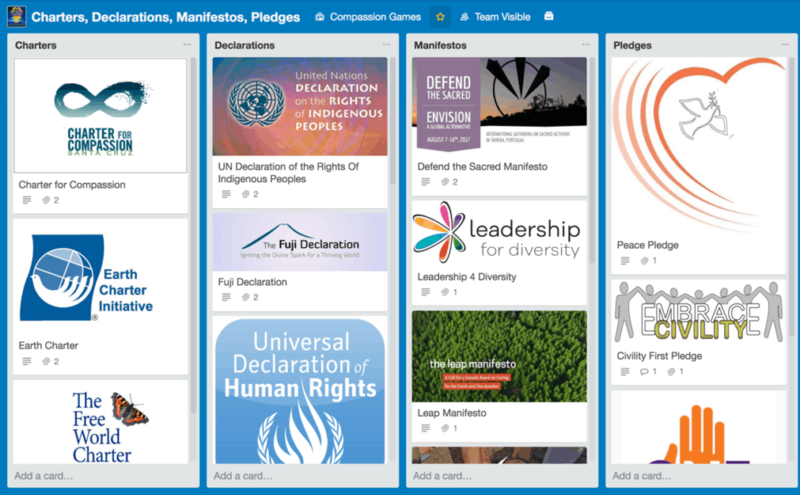 Well… it was Sunday night and we just finished a 16-day Compassion Games coopetition focused on building global unity and creating Peace on Earth by 2030. When the Games are on it is insane! We promised to make a short video of us rolling on the floor laughing. So… I grab my phone and turned the video on. I started recording Sommer and explaining what was happening. She had the Compassion Torch in her hand. She thought it would look good if it was behind me thinking that I was recording a close up of me. I then told her that I was, in fact, recording her… and that’s where we just lost it…. or found it! I then realized it was important for her to tell us how to text our donation… but we were laughing so hard that we just couldn’t get it out! Anyway… we hope it makes you laugh …. and give to uplift the world! How much fun can we have? Game on! 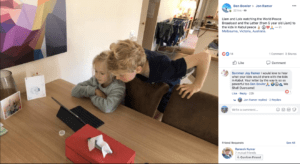 Global digital citizens of all ages are going online to send love and support to a team of players of the social change game Peace on Earth by 2030. The game includes harnessing the power of music to uplift our spirits, bridge cultures, and lead social change by gathering in public, in song, and with signs, in our local communities, including one of the most challenging places on Earth. We started with 7 Actions to Create Peace on Earth inspired by the 1986 First Earth Run, a worldwide event and celebration that brought people together to demonstrate “the impossible being made possible.” On regular video zoom calls, we co-design the game and coach the students and staff in Kabul. We started with the action “Befriend the Other” that requires empowering oneself to go outside your “comfort zone” and to reach out to someone who you may think is different and ask them to be your friend. The students went out on their own and reported back on different approaches to being upfront, discovering similarities, and the power and simplicity of asking someone to be your friend. We then explored how they could, as a team, reach out to befriend others. 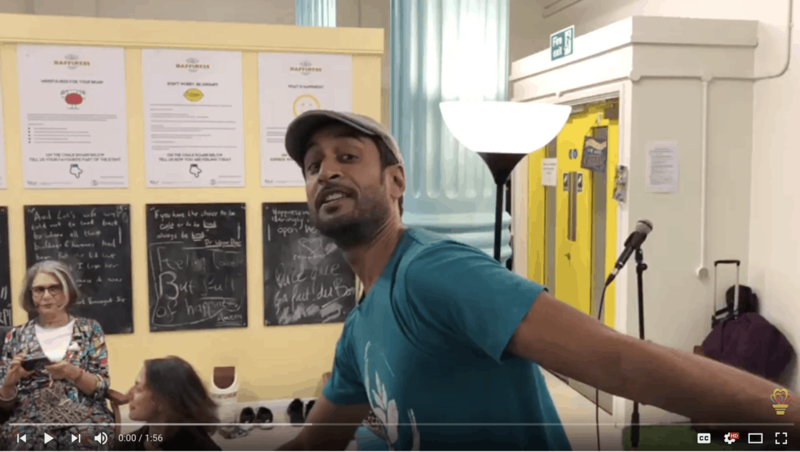 We shared a recent music video We Shall Overcome – Love Will Rise Again by Nimo Patel and Daniel Nahoud. 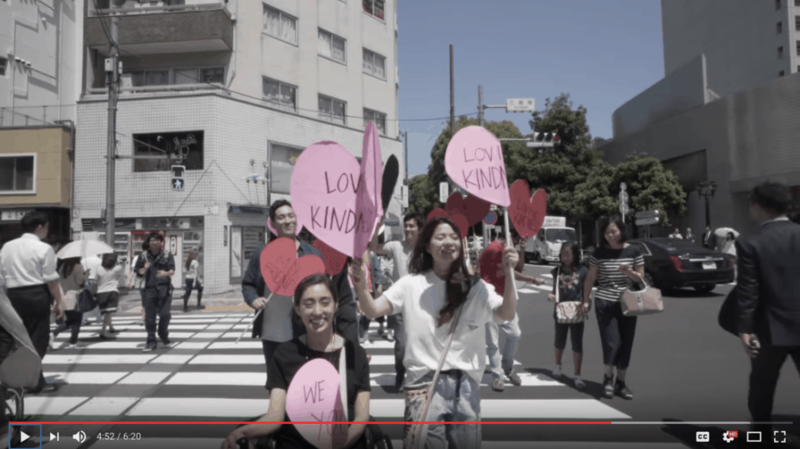 The music is uplifting and the video shows people in the streets handing out hearts, holding signs, and singing an updated rendition of We Shall Overcome. 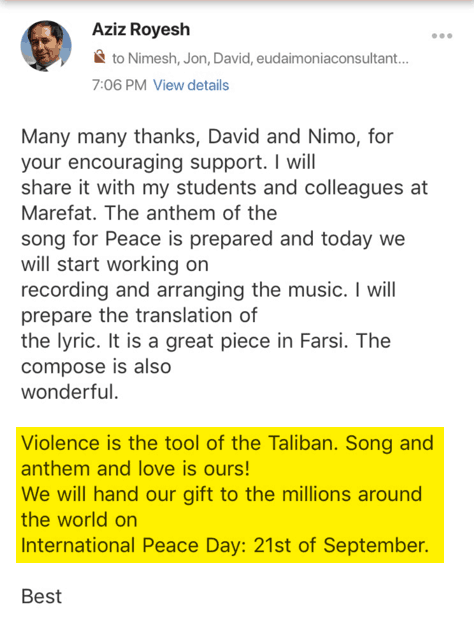 Inspired by the music video the students are planning to go onto the streets of Kabul to create “Peace Waves” in which they sing and hand out hearts bringing the message of peace, love, and compassion to the people on the streets of Kabul. They translated the words of the song and signs into Farsi and reinterpreted the music to appeal to the Afghani culture. They will make “Peace Waves” on the streets of Kabul, record it, and then share this experience online. This is no small task. During the course of the months of design sessions, we would often be interrupted by attacks happening nearby. This last year in Afghanistan has seen a record number of civilian casualties. As we were planning to do this we asked the students about their motivating visions and why this was important to them. This first answer comes from Sahar who shares why she is willing to risk her life to demonstrate that they can do something as challenging as this. The second student, Sina talks about when is it important for there to be peace and justice. The Compassion Games and Unify created a World Peace Broadcast to coincide with September 21, the UN International Day of Peace. 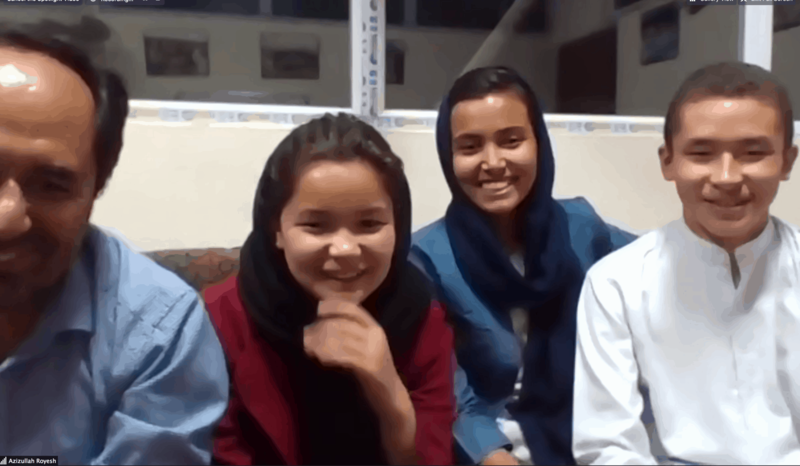 We invited the Marefat students to join the broadcast to share their plans for creating Peace Waves on the streets of Kabul. We shared with them that there are others around the world who want to send their love and support for what they are doing. Inspired by the Marefat High School students members of Santa Barbara’s Serve Community and local nonprofits, Hustlers for Humanity and The Lost Art of Love Letters, started a letter writing campaign in support of the students at Marefat High. Inspired by the letter-writing campaign the Compassion Games Secret Agents Of Compassion dedicated two daily missions to the campaign and reports started to appear on the Compassion Report Map. To make sure that the letters and messages got into the hands of the students we came up with an online way to share them with the students in Kabul and the rest of the world. We created an online page to access all the letters and supporting materials. This includes letters that were photos that were sent as postcards. Love letters that were sent as emails. Letters that were posted as reports to the Compassion Games Report Map. Love videos that were sent. 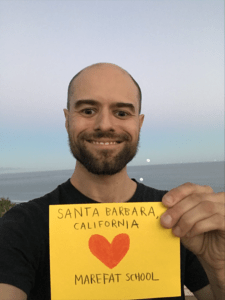 Here are a few remarkable examples of supportive love letters connecting us. The first two examples are Report Map Love Reports and then Nimo and friends send a Love Video. Rowdy Teenagers Who are Rooting for You! “Dear Marefat High School Students, We stopped goofing around today to actually listen to our group leader read about the project that you are doing for your school and community. You see we are kids who are the same age as you but are in a very different kind of environment…we live in a locked psychiatric group home. We are used to being “the other” and not fitting in our in the “real world”. We are used to being ignored, bullied, left behind, abused, and generally treated poorly by much much of society. Rarely does anyone seek us out to befriend us. A lot of times the only people who are compassionate towards us are our mental health workers because they see the good inside of us, hiding underneath our rage and sadness. We are grateful for people like them and also for people like you. People who don’t give up on others when they seem different than the mainstream. All people need compassion and though we aren’t very skilled yet at showing it, we are learning and trying. And when we see kids like you doing it, it gives us hope that we will develop stronger skills of compassion in the future. Nimo and friends record a love video to acknowledge and encourage the students at Marefat. The students at the Marafet are now replying to the people that sent the letters. They’re finding them on Facebook and becoming friends. 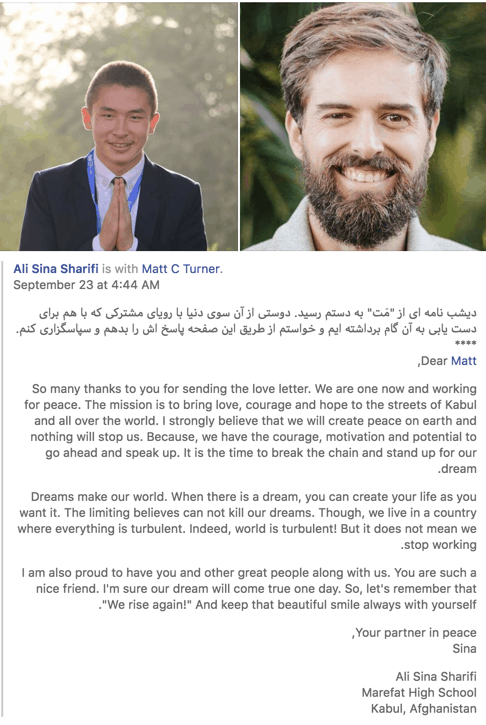 Sina sent a reply to Matt and is now a member of the Hustlers for Humanity private Facebook group in Santa Barbara. Other players and teams have started Peace Waves for example in Nigeria. 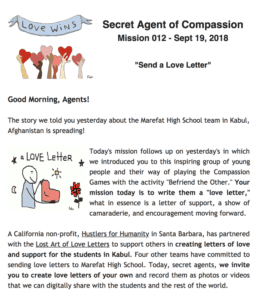 As the Marefat students prepare to create Peace Waves on the streets in Kabul we invite you to stay tuned as well as send a letter of support to the students at loveletters@compassiongames.org. We welcome other musicians and organizations that wish to lend their name and support and to share in the mission and vision of the social change game Peace on Earth by 2030. Be a Patron and support the Peace on Earth by 2030. Since 2012, Compassion Games supports teams from all over the world to foster creativity to develop empathy into action. We are inspired to see the next generation, the “Seventh Generation,” rising and leading the way. 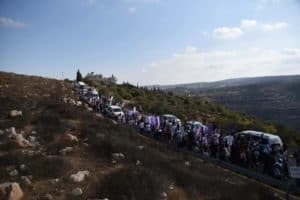 Recent examples include Standing Rock Runners and their Run for Water that catalyzed the movement against the Dakota Access Pipeline and the Marjory Stoneman Douglas students, March for Our Lives, one of the most massive protests in American history. We have an emerging story to share and an invitation for you to participate with one of the most remarkable teams to play in the Compassion Games. The story is about this team’s commitment to creating Peace on Earth by 2030. The team is from Marefat High School in Kabul, Afghanistan. This story is also about the power of courageous action and the inspiration of music to bring about social change. As part of designing the social change game Peace on Earth by 2030, these students started practicing “Befriend the Other.” The activity “Befriend the Other” requires empowering oneself to go outside your comfort zone and to reach out to someone who may think differently and ask them to be your friend. It is one of Seven Actions to Create Peace on Earth that is shaping the design of Peace on Earth by 2030. The act “Befriend the Other” began by focusing on one person befriending another individual. It is evolving to be a team of people befriending other groups of people. It is expanding and including the power of music to inspire social change and to move people to join together and go out on the streets and directly engage with their local community. 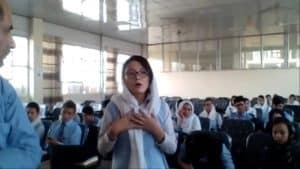 We shared with the students the Empty Hands music video “We Shall Overcome: Love will Rise Again.” Watch the students and their teacher Aziz Royesh see the music video and commit to participating in bringing the message of peace and love to the streets of Kabul. 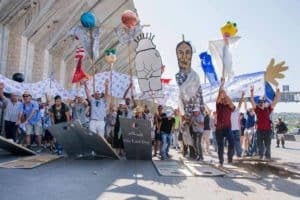 Their plan became to support the International Day of Peace (September 21st) and to have the students organize and coordinate four subteams to create “Peace Waves” on the streets of Kabul. They have composed an original song in Farsi inspired by the Empty Hands music video. There are professional video recorders who will accompany the teams to record their experiences. We will then feature the team, and video during the World Peace Broadcast, taking place on Saturday, September 22nd during the closing weekend of the 2018 September Compassion Games. We have been preparing and moving along. Here is a playlist of video highlights from our planning sessions. We are all concerned about the safety of the students. Aziz has a deep insight into the challenges and threats of ethnicity in politics. He sees this as an intergenerational challenge of “new politics with old traditions.” Aziz says that violence is the tool of the Taliban and that “song, and anthem, and love is ours.” You can appreciate their commitment to “education, respect, love, and mercy…” and his wish for everyone to “act and live humanely.” They are determined to bring their message of hope, peace and love to the streets of Kabul. Peace Wave Summit: Let’s Make Waves! On September 22 Compassion Games is hosting a Peace Wave Summit on the World Peace Broadcast during World Peace Weekend. We are planning to feature Marefat High School and cover this story on the broadcast as it unfolds. We will deliver the Love Letters to the students during the broadcast. Will you write a Love Letter to the students at the Marefat High School in Kabul? This story is playing out in real-time and we will be covering these developments as they unfold. To gain a greater understanding, we offer some additional background. In February of 2018 in Lalibela, Ethiopia, the Peace Flame, from David Gershon and the Empowerment Institute, and the Compassion Games: Global Compassion Torch converged to create a Global Fire of One Love that has lit our way forward and we have worked closely ever since. David has been training Aziz Royesh in his empowerment methodology as part of the Imagine Program for the past few years. Aziz is considered one of the most remarkable educators in the world. He instills hope and aspiration in Afghan youths who are struggling with poverty, life in refugee camps and the legacies of war. In order to help build a new nation, he saw a need to rebuild the Afghan education system with a focus on civic education and female empowerment. The NY Times bestseller The Last Thousand: One Schools Promise in a Nation at War documents his extraordinary accomplishments. David also introduced us to the founders of Serve Community based in Santa Barbara with their mission to empower millennials who want to change the world. 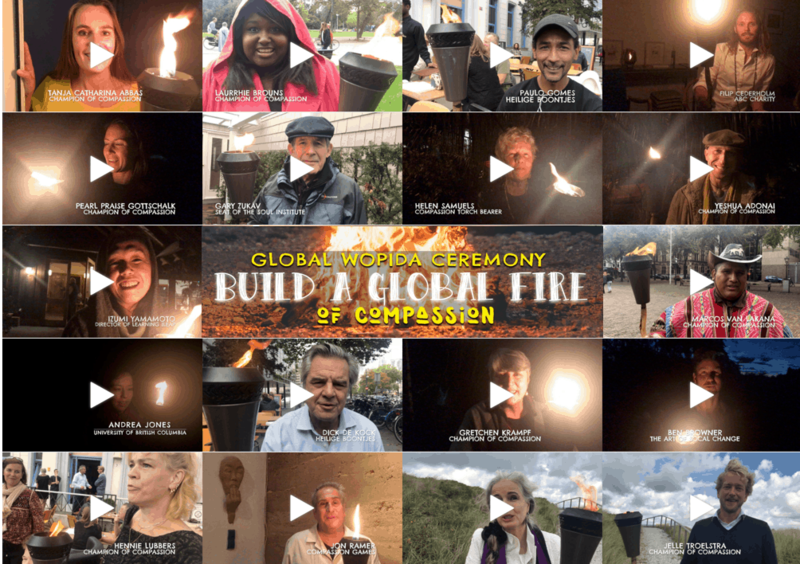 The Compassion Torch is being passed to Films For The Planet as Champions of Compassion Film Club elevating bridges for peace, justice, and compassion for Earth! Films For The Planet is contributing many inspiring films to inspire participation in April Compassion Games and community engagement around the world all of the month of April. 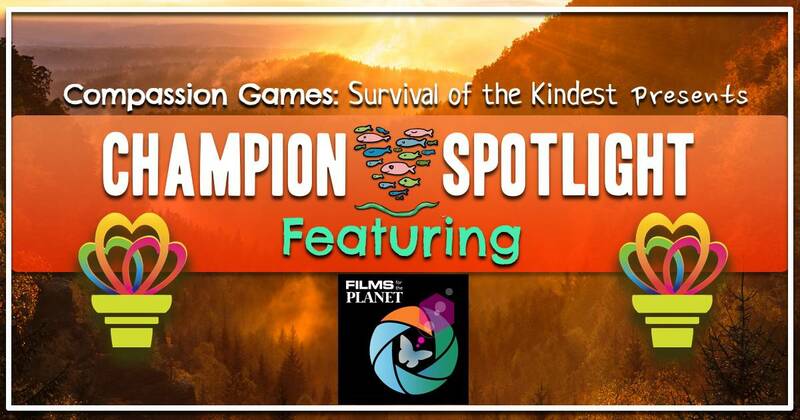 See what Founder of Films for Planet, Thea Lagrou shares about amazing plans for April also including all other featured ways to play April Compassion Games too on our Monthly Global Social Media Cafe from World Water Day. Films for the Planet is a streaming online platform featuring the best in environmental and social action films on Earth. 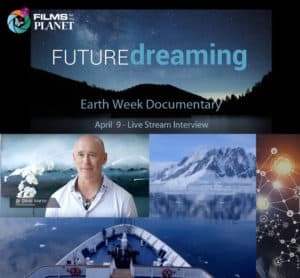 In celebration of Earth Week, Films for the Planet is featuring a series of documentaries and webcasts, throughout the month of April. This year, the 2018 Earth Day theme is “A World without Plastic Pollution.” Films For The Planet is featuring “A Plastic Ocean,” a film Sir David Attenborough calls, “one of the most important films of our time.” Register to watch for FREE, April 20th – 24th at the Members Circle. Be sure to join our April 20th Facebook live-stream at 10 a.m. PT, with Bea Johnson, who is the best-selling author of Zero Waste Home. Bea is an international speaker who has inspired thousands to take a stance against needless waste. Special guests include Laurie Wilson, founder of Blue Ocean Summit and Blue Ocean Network. MORE here. As a way to honor today’s featured Champion of Compassion Join both of these featured events on FB! RSVP HERE for April 4th – April 30th Future Dreaming: Change The Story Streaming Documentary Series on Facebook. Don’t miss your FREE viewing of “Future Dreaming” directed by Kaya Finlayson, April 1-30. Filmed in Antarctica, Future Dreaming explores the narratives that drive our economic, social and political thinking and offers a new way of understanding the human condition. The film captures a conversation with Dr. David E. Martin who takes a sweeping look into the past, present and future of mankind. Click HERE to Register. Already a Member? Go to the Members Circle to access your free selections. 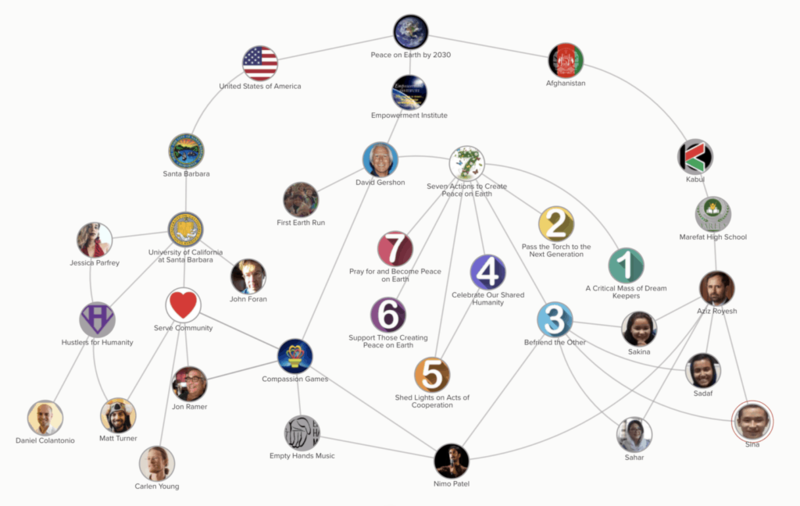 Share how these films are impacting your life, community at this time on the Compassion Report Map. We also suggest following Films For Planet FB Page, on Twitter, and Website. For every Compassion Games “coopetition” (i.e. 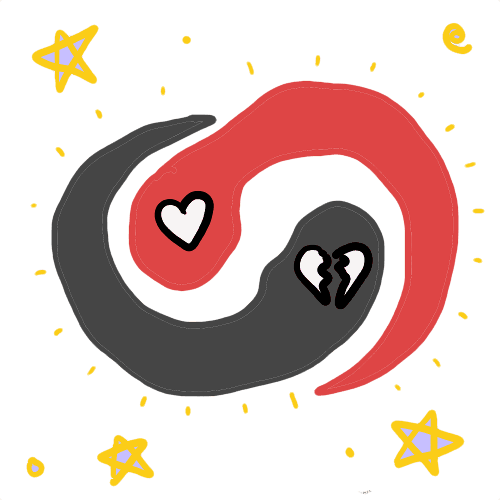 a collaboration in which players cooperate to compete not against, but with each other), a set of “secret missions of compassion” are sent to players to carry the spirit of a coopetitions’ particular theme. These missions are intended to be a unifying thread, a way to tell a greater story to delight, engage, and connect players and teams throughout the world. Choosing a mission’s premise can be deceptively difficult… too lofty and esoteric, the message of the missions aren’t accessible. Too simplistic and pollyanna, the missions lose their chance to carry a deeper meaning, and the opportunity to engage with something relevant and real. Striking a balance, as it turns out, can be quite a worthy challenge. With the alarming social, political, cultural and environmental climate of today’s world, we decided we had no choice but to take a risk in order to offer something to our players that was truly worthwhile and unique. We decided to take a complex and emergent design approach, known as “permaculture,” and break down some of its core principles into compelling daily missions. Permaculture is a contraction of the words “permanent” and “culture.” Permaculture is a system of design, a way of thinking and solving problems, and way to radically reimagine the type of relationship we humans have with the living world around us. Yet, diving into the principles of permaculture is better understood first with a solid foundation. And so the missions opened with a bold premise indeed: that the “Old Story of the World” is no longer working, and what we are left with now is a space, a space between two stories, for a New Story to emerge. These are really Big Questions, and so our answers to them make up a really Big Story! Lately, Agents, it may feel like the Big Story of the World has “gone mad” or “turned upside down.” We may feel that we do not like where we are going right now, as things feel more uncertain, confusing, and divisive on Planet Earth. One possible explanation is that the Old Big Story we once believed in is not taking us where it once promised. The story and its answers are no longer working – or they never worked all that well – and so the story is starting to fall apart. When a Big Story starts to fall apart, something very interesting happens: a crack appears where it once stood. This crack, although scary at first, is actually the space where a New Big Story about who we are, why we are here, and where we want to go can emerge. Agents, we find ourselves now in the rare space between two stories. In this crack, what type of a story do we wish to seed? The opening to the missions takes us down a path which naturally leads us to ask… what will the New Story be? What does it look like? And what is our individual and collective role in creating it? This is where permaculture enters the picture. 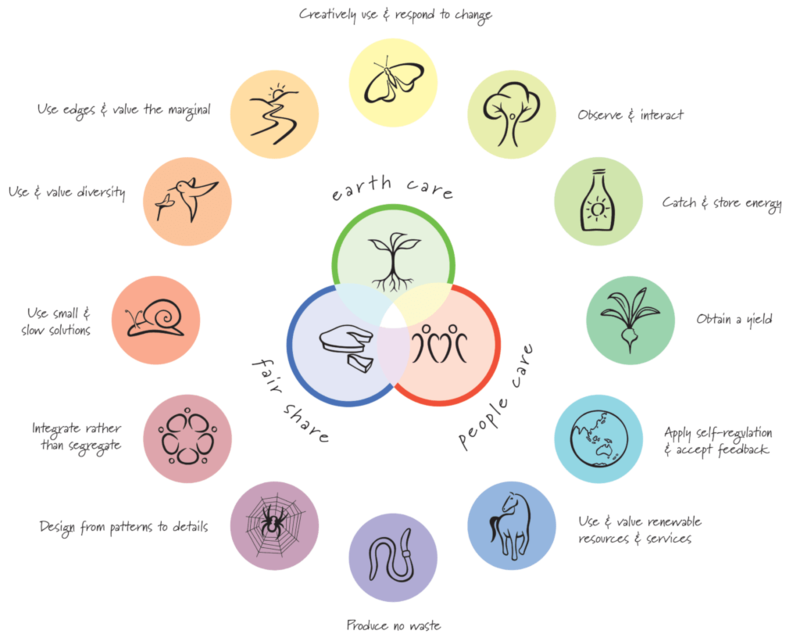 The Permaculture Design Principles as revised by David Holmgren. Many of these were incorporated into the 2017 missions for the Global Unity Games. As we mentioned, permaculture is a system of design – a way of thinking about and seeing the world and living within it. The central premise of permaculture is that we humans can actually observe and learn how nature provides the conditions for life to exist, and then create unique human systems based on these conditions to create a culture of abundance and permanence. In other words, permaculture asserts that we must re-learn how to partner with life, as opposed to exploiting life. Why? Because degrading the natural world directly degrades our own lives, which is what the Old Story has done until now. We see the consequences of this “war on life” all around us. By “mimicking” how the natural world provides the conditions for life to thrive, permaculture design principles allow us to create solutions that include how to grow healthier food, use energy creatively and efficiently, make sustainable shelters, earn a fulfilling living, grow and nourish community, and even share the surplus of our efforts with others. Each of the twelve missions explores the New and Old Story framework, while guiding “Agents of Compassion” toward new, regenerative answers to old questions. The missions culminate in a simple message: the path ahead of us on Mother Earth is full of uncertainty and change. What our New Story requires is a model for living in harmony with the world around us and each other, which means we must find ways to provide the resources to fulfill our collective needs. The Old Story offered plenty of ways to satisfy our endless wants, while providing very little for what we actually need to live and sustain good, long, fulfilling and healthy lives. The space between these two stories is certainly “edgy.” Luckily, in permaculture, an “edge” represents the interaction of two worlds, an opportunity to build bridges between the old and the new. How we choose to respond to change – and not react to it in the same old way – will determine how the emerging New Story of Our World will be written. What is written into our world’s New Story is up to us… the ink is not dry yet! Although the missions were sent out during the Global Unity Games, you can revisit them live at any time. Select “Begin Missions” to receive one mission per day for twelve days via email. Alternatively, you can review all 2017 Global Unity Games Missions here! 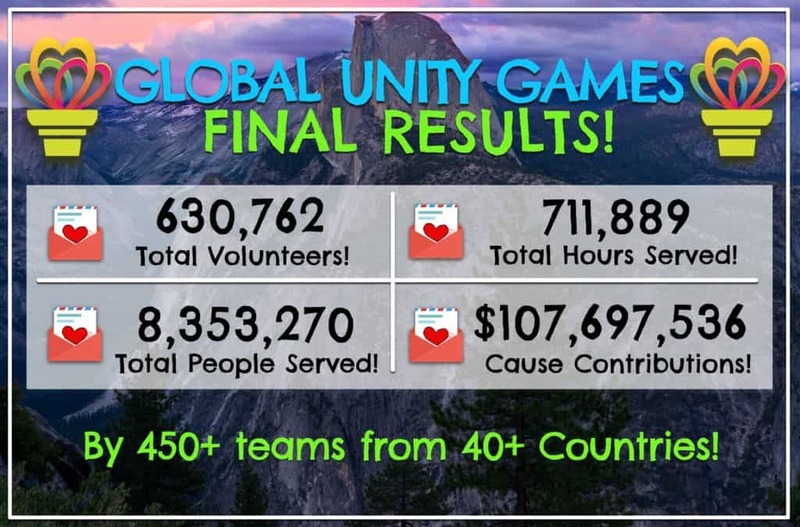 This year’s Global Unity Compassion Games was epic and off the charts! From September 9th through September 24th inspiring events and activities were organized by players all over the world. 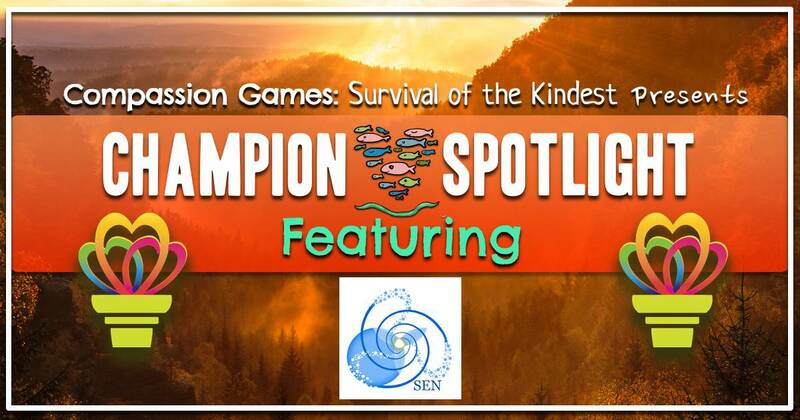 The Compassion Games demonstrate the power of compassionate action as we play and offer community service through the fun of a global “coopetition” – a collaboration among teams in which nobody loses and everyone wins! 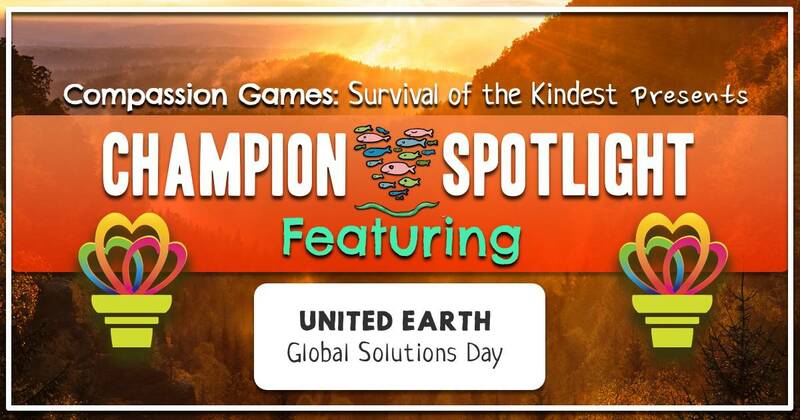 The Compassion Games teamed up with Unify, the Charter for Compassion, and the Indigenous-led Four Worlds International Institute to organize the 2017 World Peace and Global Unity Campaign in support of the September Global Unity Compassion Games. The Campaign encouraged communities to “synchronize globally” (e.g. global meditations, tele-summits, synchronized film streamings) and “organize locally” (e.g. from service projects to random acts of kindness). The theme was building bridges to peace, prosperity, and the planet. We are grateful to LUSH Handmade Cosmetics, the Maritz Family Foundation, and all the other donors who contributed to underwriting this year’s September Games. We are inspired by the collaborations that took place across divides, to unify and share intentions, and to act together to create a peaceful and loving world. 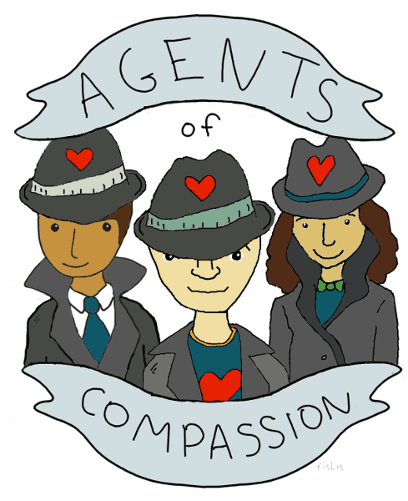 This report celebrates the amazing Players (Agents of Compassion) and what they did e.g. how about multiple teams packing hundreds of thousands of meals for victims of recent disasters? Over 600,000 volunteers served over 8,000,000 people and raised over $100,000,000 to support local and global causes (not the Compassion Games)! The recent hurricane disasters became a focus for fundraising during the Games. Teams in Austin and the Rebuild Texas Fund raised $68,000,000. This team in Dallas raised over $39,000,000 as they reported: “We are already compassionate, but we can always be more so.” View the report from Dallas here. Visit the Compassion Report Map to see all the reports and the Scoreboard Map Viewer just to see the numbers. To understand the numbers in greater detail we have prepared a scoring guidelines document. Additionally, the “Compassion Games Creates Climate Change” video was viewed on Facebook over 7 million times, shared over 175,000 times, and reached over 18 million people by the time the Coopetition was over! Thanks to Unify there was another great video and to Jacob Devaney for articles on Huffington Post. Discover what players did during the Games, see how we are “getting it right” in nearly 500 reports. 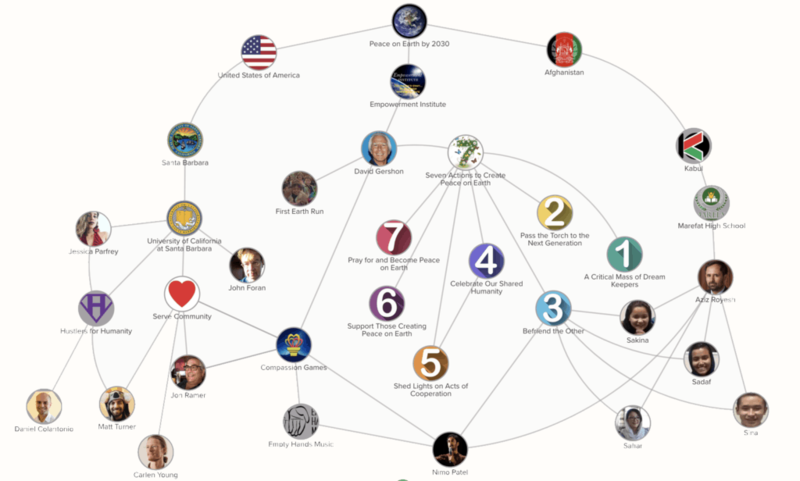 Here’s a Facebook album with selections from the Compassion Report Map. Wherever possible we tagged the players. We can now communicate with the agents who made these beautiful acts of compassion occur. Each image links to the report that you can now share on Facebook or Twitter. Global Unity Tele-Summit: The 11 Days of Global Unity from 9/11 through 9/21 was hosted and produced by We the World and partnered with the Shift Network and the Compassion Games to promote the Telesummit that included some of the most visionary thinkers and activists of our time: Deepak Chopra, Ralph Nader, Marianne Williamson, Robert Thurman, Karenna Gore, Nwamaka Agbo, Michael Beckwith, Jonathan Granoff and many others. You can listen back to the sessions here. 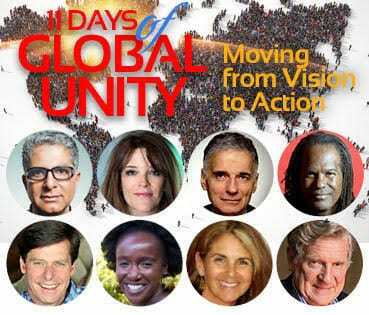 Bravo to Rick Ulfik and his team at We the World for producing such a remarkable and inspiring 11 Days of Global Unity. We featured We the World as a Champion of Compassion. Films for the Planet featured six beautifully-produced, award-winning documentaries that inspire a planetary culture of peace for 16 days (from Sept 9-24). People signed up to stream films about peace and solutions in their community and participate in their live stream webinar: “The Neuroscience of Peace – Tapping into Our Hearts’ Intelligence” which highlighted the cultural and scientific evidence supporting globally synchronized meditations and activities. We featured Films for the Planet as a Champion of Compassion. 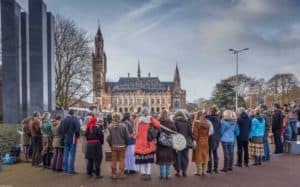 With the support of Four Worlds Europe we brought the Compassion Torch to the launch of the Peace Pledge at the Peace Palace at The Hague in the Netherlands. You can sign the Peace Pledge here. 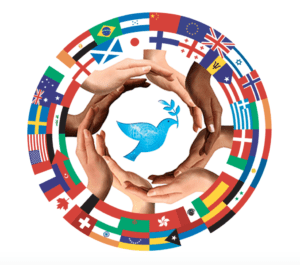 View spiritual leaders sharing the Peace Pledge here. We featured the Peace Pledge as a Champion of Compassion. A remarkable participant was youth leader Haji Syed Salman Chishty from the Chishty Foundation with the message of love for all, malice for none, and service for all humanity. September 13th 2017 was the 10th Anniversary of the adoption of the United Nations Declaration on the Rights of Indigenous Peoples (UNDRIP), encompassing some 370 million Indigenous peoples in more than 70 countries. Thanks to Four Worlds Europe we brought the Compassion Torch to an Indigenous-led ceremony at the Hague. The Indigenous People were invited into the Peace Palace to be part of the Peace Pledge launch. Indigenous Wisdom reminds us to take into consideration future generations in every decision we make as One Human Family. Global Solutions Day was a worldwide activation for a Global Solutions Revolution of Peace, Unity and Cultural Re-Education. The day was dedicated to identifying and co-creating a platform for sharing the myriad of solutions that already exist. 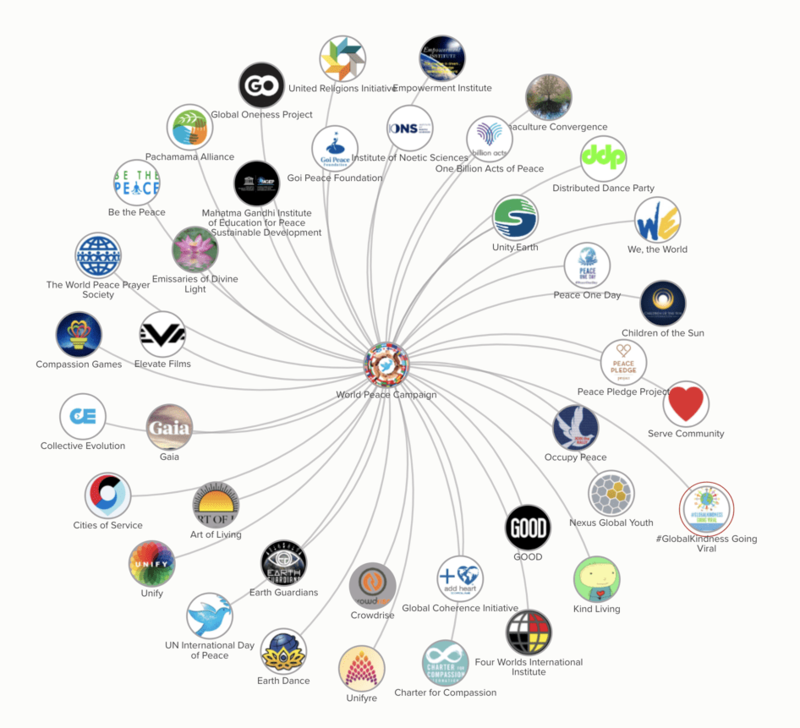 We featured United Earth as a Champion of Compassion. Reconciliation Canada, an Indigenous-led organization, with a bold vision to promote reconciliation by engaging in dialogue that revitalizes the relationships between Indigenous peoples and all Canadians in order to build vibrant, resilient and sustainable communities. We are thrilled to feature Reconciliation Canada who organized a Walk for Reconciliation on September 24th for peace, reconciliation, forgiveness, and a better world. On Sunday Unify hosted the Globally Synchronized Meditation. This set of missions was titled “Finding Our Place in the Space Between Two Stories.” What is our unique role in creating the New Story? What does the New Story look like? Let’s find out! You can view and receive the complete set of missions here. Prosperity is being created in Compassionate Cities all around the world. In this coopetition we birthed the Compassionate Cities and Regions League. Louisville and Dallas took their rivalry to a new level and Compassionate Australia declared itself committed to being the first “Compassionate Continent!” On the International Day of Peace, Compassionate Gold Coast launched the first of a number of Compassionate Cities emerging throughout Australia. We featured Compassionate Gold Coast as a Champion of Compassion. 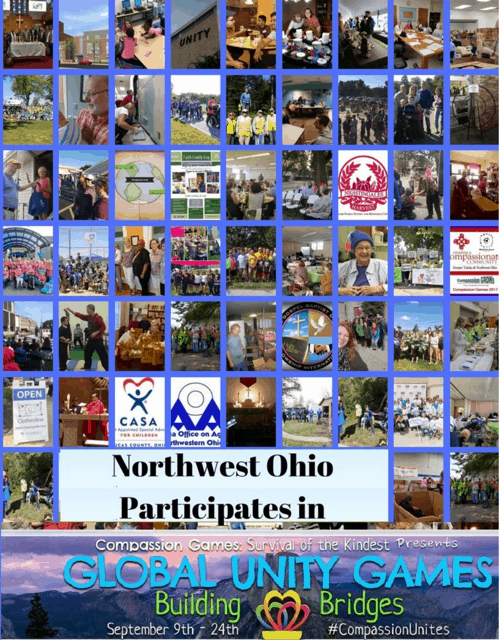 Northwest Ohio put together a collage of their reports on the Compassion Report map! The Compassionate Cities and Regions League is also building bridges to many other city initiatives such as Resilient Cities, Smart Cities, International Cities of Peace. We passed the Compassion Torch to Sol Trombo Vila from the Trans National Institute who is managing the Transformative Cities Initiative that has cities sharing their experiences of tackling and finding solutions to our planet’s systemic economic, social, political and ecological challenges. The Compassion Relay passes the Compassion Torch to Champions of Compassion playing Build a Global Fire of Commitment to Compassion by holding the Torch, sharing their fire, and passing the Torch to another Champion of Compassion. Visit the Global Fireplace to warm your spirit and let their passion and fire fuel your soul. Share your fire too! 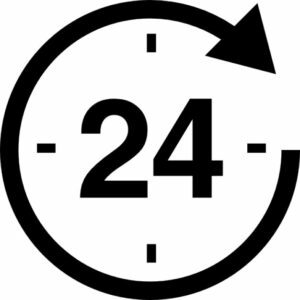 We introduced a new Way to Play in honor of the vision of a 24 hour period of non-violence and peace. We challenged ourselves and others to remain calm and engage in a 24 Hour Compassion marathon of sorts sharing the work of the amazing Champions of Compassion from all over the globe. 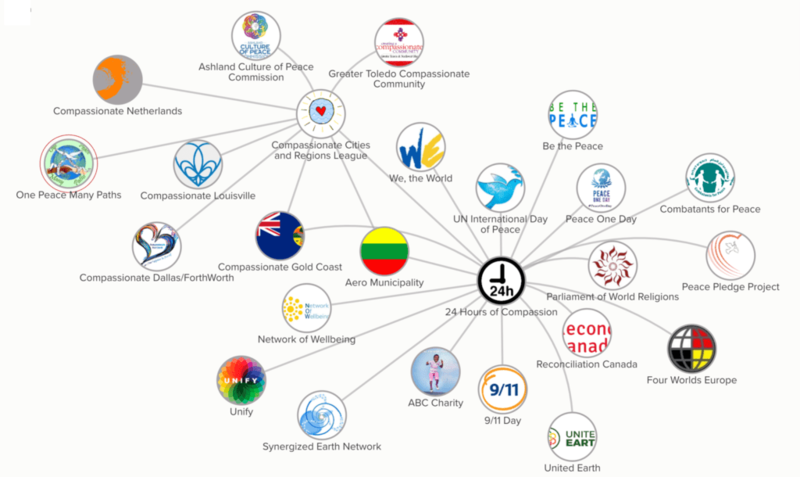 The 24 Hours of Compassion featured Champions of Compassion including ABC Charity, Charter for Compassion Australia, Aero Municipality, 9/11 Day, Parliament of World Religions, Films for the Planet, United Earth – Global Solutions Day, Network of Wellbeing, International Day of Peace, Synergized Earth Network, We the World, Reconciliation Canada, Combatants for Peace, Peace Pledge Project, Be the Peace. An exciting aspect of each Coopetition are the new Players, Partners, Ways to Play and possibilities that emerge. Thousands of new people “Liked” our Facebook page, hundreds joined our Facebook Group and are following us on Twitter and Instagram. We met and added two remarkable Legends to our Leadership Team. 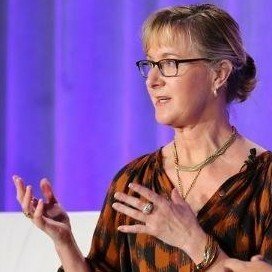 Norie Huddle, the New York Times best-selling author of “Butterfly” and the inventor of the “Best Game on Earth” has joined our Leadership Team. We are starting out partnering to feature the Best Game on Earth and to co-design “Clump and Cluster“. This is the story game of how we come together and transform from a caterpillar into a butterfly. Norie and her husband are also building the Garden of Paradise in Ecuador and played a key role in Ecuador recognizing the Rights of Nature in its constitution. Another remarkable Game designer and leader joined our Leadership Team. Megan Gaiser recently founded the 21st Century Leadership for Diversity Movement. With a background in film, Megan became one of the first female CEO’s in the game industry and with her team, pioneered a new market niche – inspiring games for girls, with the Nancy Drew game franchise. Awards include: “Game Industry’s 100 Most Influential Women” Next Generation; “Top 10 Most Influential Women of the Decade.” Megan will be co-designing Leadership For Diversity the game and collaborating with Norie and the Leadership Team on “Clump and Cluster”. Another outstanding new partner is Robert Peloquin, founder of MyStudio Live a multiscreen, live video chat app that can connect face-face and stream it on Facebook. 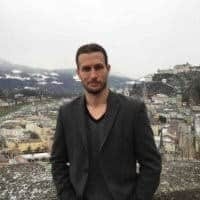 Robert is also a digital advertising specialist with experience working with advertising agencies and will be building relationships connecting the Compassion Games and like-minded brands. The natural evolution of Compassion Games Leagues is similar to the process of Clumping and Clustering. For example, by bringing the cities and regions together into a League we are able to enhance communications by linking teams that are like-minded and facing similar challenges. 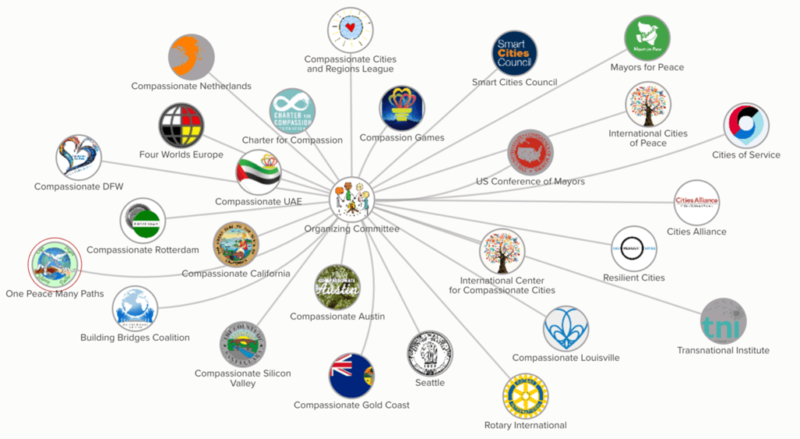 Other Compassion Games leagues follow this pattern of clustering together teams that are related to common areas such as youth and schools, faith and interfaith communities, businesses, innovators, philanthropies, sporting teams, etc. We are planning a league of “Charters, Declarations, Manifestos, and Pledges” that will form a league and play Clump and Cluster with the goal of weaving strategies together and play in the Games to turn their Good Words into Good Deeds as they strengthen and support each other. We have begun to identify who can “Team -Up” and play together. The Compassion Games has set a goal of serving 100 million people through the Games by the end of 2020. We’ve served about 15 million people to date. We are looking to spark a self-replicating Compassion Games Movement. We invite you to sign up and share the Games with others. We are grassroots and appreciate your participation and financial support. You can make a one-time donation or become a monthly Game-changer here. If you have any questions or suggestions please contact Jon Ramer at Jon@compassiongames.org or (206) 972-7356. A critical account of some of the exceptional pressing challenges the Earth is currently undergoing can be given such as: environmental degradation, climate change, deforestation, the melting of the icecaps, the disruption of nutrient cycles, the economical crisis, etc. These are all strong indicators of the irreversible damage caused to the Earth’s eco-system and our lives and tends to cause harm because of the societal implications these set forth on multiple levels. These realities are all consequences of population growth and the unequal distribution of resources, technological advancement, human consumption and intervention in the natural world. More importantly, it underlies a crisis of values on multiple levels in our world today. Such developments will continue to harm the fabric of nature and the quality of life for generations to come. Both the outlined global debates on sustainable development as well as the pressing issues related to the so-called ‘interlocking crisis’ reflected in the current pressing need for both systemic and sustainable change to present fundamental challenges to human cooperation. Within this framework, it is key to understand what the role of leadership is in tackling pressing global challenges from within our daily realities and what the effects of this are for future generations and the unequal distribution of resources and opportunities. Planet Earth and its living organism. We believe that it can be restored in all segments of society and areas of life and navigate us through and enable a significant contribution to the current state of the world. Netherlands. SEN is a non-profit and non-governmental organization. Build upon our philosophy, we believe and experience that sustainable outer service as a result of change can only come from within ourselves, from within our communities and from within our institutional structures. Synergized Earth Network (SEN) strives to facilitate a global value-driven and commitment-based intergenerational network of networks bringing together and synergizing the aligned and unique complementary contributions for social change and sustainable development in all segments of society on a local, national, regional and global level. Our vision is to strive to co-create conducive environments for lifelong learning across generations in all segments of society and spheres of life to cultivate human qualities, the quality of life and our greatest potential to restore human-human and human-earth relationships. Our mission is to synergize intergenerational collaboration and existing capacities for sustainable change governed by intentions and carried by an emergent leadership of values and ethics to bring about change in mindset on personal, interpersonal and societal spheres. Our purpose is to unite aligned capacities for social and sustainable change in all segments of societies across the globe to restore human-human and human-earth relationships, across all generations. The Fields of Change which have our focus are on ecological, economical and social level. complementary contribution in tackling global challenges and has designed and developed its end-to-end process towards sustainable outer service accordingly. Management and got various stakeholders on board. She pioneered this evidence-based work on the role of a conscious and empowered proportion of youth leaders within the Millennial Generation researching their values, worldviews and leadership perspectives. SEN is one of the unique partners who has supported this scientific research. SEN strives to bridge theory and practice to contribute to the field of research on the most pressing challenges in human dignity, development and environmental sustainability. with various organizations to (financially) support, facilitate or accommodate SEN’s operations. 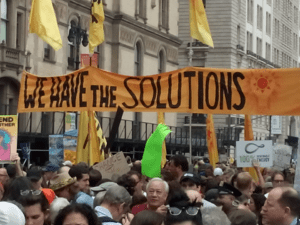 Global Solutions Day is an unprecedented global civic action to gather all solutions-oriented collectives to unveil and celebrate the countless inspiring and empowering solutions and alternative systemic models that we already have. 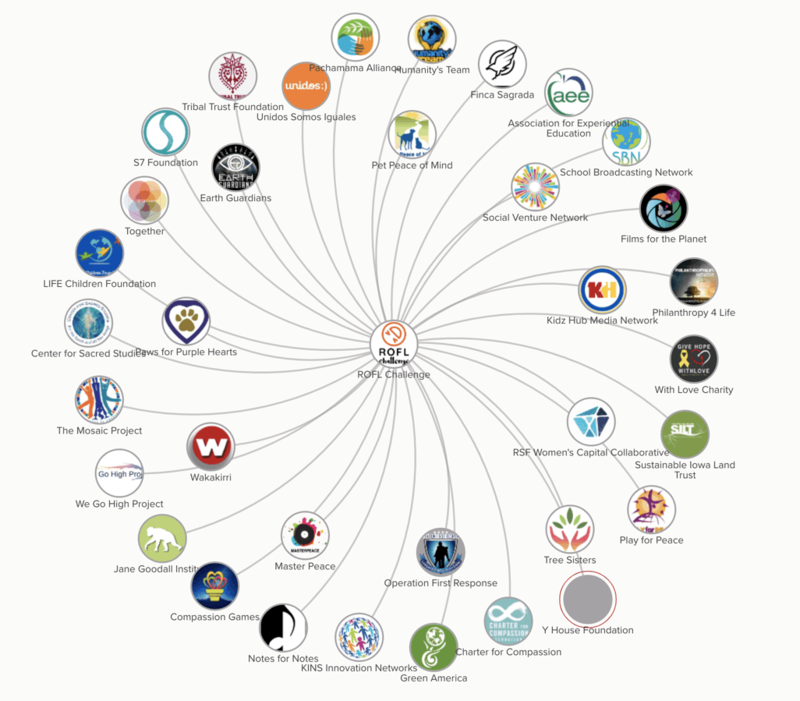 We are inviting all organisations, projects, communities, tribes, networks and alliances who are developing and / or promoting solutions- from all sectors of human affairs (examples in diagram below)- to co-create local events to bring our solutions into the streets and parks so that mainstream people can learn how hundreds of millions of people are creating a more beautiful world. We had a conversation with Yan about the history, vision and mission for United Earth and the Global Solutions Day. 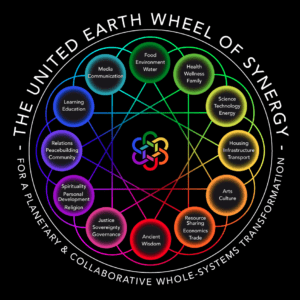 This worldwide educational initiative is supported by an online platform(launching early August) that will evolve into an open source global hub for gathering, sharing and openly reviewing all holistic solutions, conscious collectives, collaborative technologies and alternative systems for a global transition. The solutionsrevolution.global website will list multiple solutions directories and toolkits, economic and political game-changers, online and physical learning centres, emerging technologies and a list of supporting and unifying collectives that each represent a world of inspiration and opportunities for meaningful action. The platform will also allow people and groups to connect and coordinate at the local level. Here’s an article written by Yan about the Global Solutions Day. Here is the United Earth Community Facebook Group. To walk in partnership with, and complement the work of global Charter for Compassion, developments are currently underway in Australia to facilitate a substantial and nationally resourced movement to advance the vision of Australia becoming a Continent for Compassion. 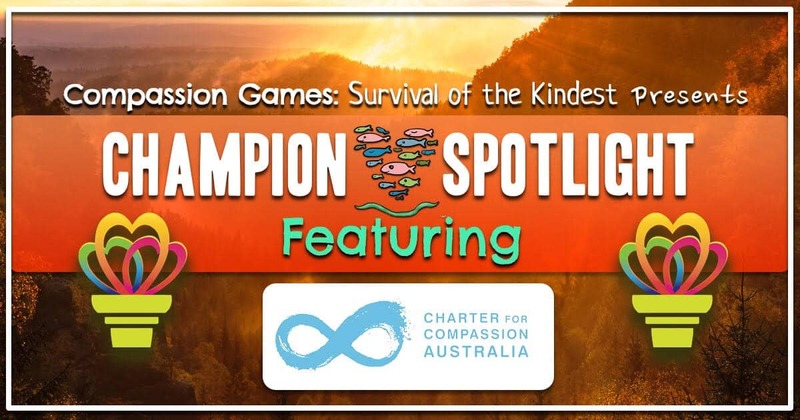 Australia as a Continent of Compassion will act as a conduit to both recognize the work already undertaken by many existing organizations and to add to that work through specific Charter activities, including of course the Compassion Games. An Australian Compassion Council (ACC) has been established to have oversight of the imagining and making of Australian stories of compassion; to tell those stories across the Australian Continent, and to link those stories for national and global collaboration and impact. The ACC will guide the formation and implementation of Australia: A Continent for Compassion, which will include a national launch in 2012, a National Day of Compassion, the Australian Compassionate Action Network, and the Australian Compassionate Cities program. The Australian Compassion Action Network will provide an opportunity for those not wanting to establish a compassionate city but would still like to formally participate in a meaningful way in the Continent for Compassion activities. In creating a Continent of Compassion, it is important to acknowledge Australia’s past involvement with the Charter for Compassion. Indeed, in 2010, the Australian Parliament was the first parliament in the world to sign the Charter. Dr Ursula Stephens, the then Parliamentary Secretary for Social Inclusion and others held a historic recognition ceremony of the Charter for Compassion at the Australian Parliament, which included representatives from the Government and Opposition, Indigenous community, diplomats, NGOs, religious and youth leaders. It is pleasing therefore that Dr. Stephens has accepted a formal role as mentor to the ACC. In 2013, Prof Diana Slade played a role in Australia becoming an integral part of the International Research Centre for Communication in Healthcare (IRCC). This Centre is home to the AsiaPacific Hub for the Charter for Compassion. IRCHC encourages excellent research and practice and seeks to improve communication in healthcare. Already this Institute has received international support, with over 50 members from more than 10 countries around the world and it is now located at the Australian National University in Canberra. While the National Day of Compassion and the Australian Compassion Action Network are still in the process of being developed, the Australian Compassionate Cities initiative is now well underway. Terry Ayling, who is also the lead facilitator of Compassionate Gold Coast, is leading this compassionate cities initiative. The Gold Coast is the sixth largest city in Australia. The public launch of Compassionate Gold Coast and a pre-launch of Australia: A Continent for Compassion will take place on Thursday 21 September 2017. In addition, these initiatives/launches will be presented to a larger audience at the University of Queensland’s Compassion Symposium on Saturday 23 September 2017. Sunset Gathering, in which we honor our key serving Organisations and acknowledge that there is still a lot of work to be done in our ‘uncomfortable’ Compassionate City. As we develop these significant initiatives, Australia looks forward to supporting and engaging with the global Charter activities in making the world a more compassionate place.